I'm there, as usual. Been helping the Harrisons get some sleds ready from the museum. Gotta keep busy in the meantime while I'm waiting. 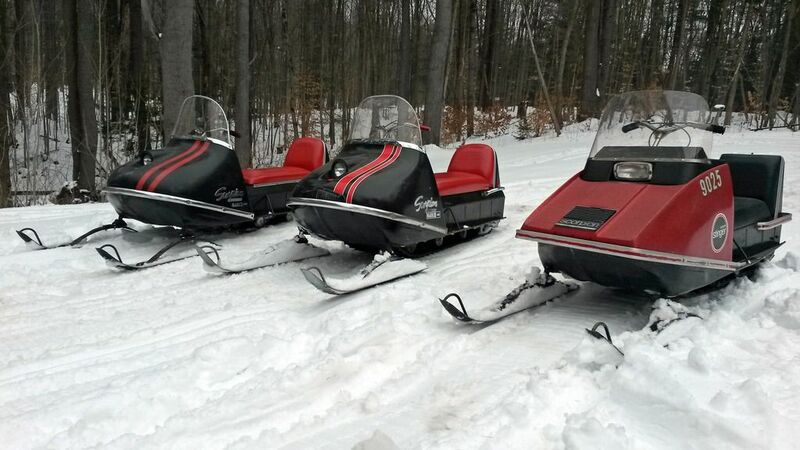 Bringing the motorhome and a couple new sleds. Nice! Ive Never ridin a little whip. You gonna let me take it out for a beat down!? Have fun, I am missing it this year. Heading up to International Falls for LOS. I had a lot of fun at Crosby last year. Cant believe the reunion is almost here already. Wish we had more snow on the ground, cant wait for sat. Pararailer, it's more of a "bounce down." 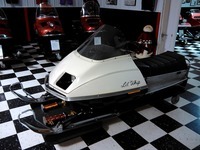 I just remember riding it last year on the lake, especially, it bounces over snow drifts, even with good shocks. Ddub, I'm having to say the same with LOS as I'm going to miss it (again), against my wishes. 75whip, x2 on the snow. We're a little concerned about the ice being so slippery where the shows taking place. There have been ideas thrown out there to put straw or sawdust down where people walk. Someone's bound to get hurt the way it is now. Otherwise ice conditions are terrific. Maybe this year the ice won't make so much noise when I drive the motorhome out there. Bring the ice cleats for your boots! I wouldn't mind doing some fishing. I'm bringing the fish house. Look for the yellow mini toy hauler ice castle. With the white GMC thats me may just put line or two down during the show. Maybe take one of those hand held seed spreaders you would use for grass seed on your lawn, but fill it with sand and spread that where people walk? I think someone is checking with the DNR to see if they allow that much sand to be spread on a lake. They seem to have tightened up on their rules and added a few new ones too. Haha..... not much of an option this time. The ice this year is pretty clear. There is about 30 inches worth and it's quite noisy. I'm sure that'll be enough to hold the motorhome. The museum is cleaned up and ready for everyone too. My Lil' Whip is the feature sled this year. Won't be entering it in the show as it is on display in the museum and I'm too lazy to bring it over. 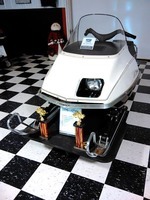 thats a nice lil whip you got there im surprised you dont feel like entering it got to be a first prize winner. I'm just glad I'm not the one in charge of the sand/straw/whatever.... I'll let someone else deal with that one. 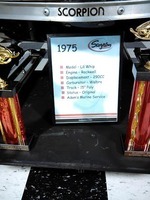 As for the Lil Whip, I've thought about and been back and forth on it but I don't really need more trophies. They're nice to get but not my thing. Others there seem to need them more than I do and I'd rather someone else win that wants one. How far from the show is Harrison's museum? yea i see your point there are a few people that take this stuff way too serious. Yea the fun part about this is just seeing all the different old scorpions and bs with people. 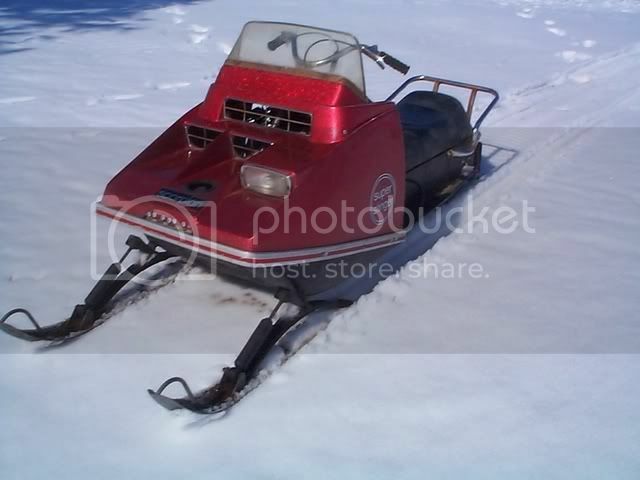 Im only bringing one sled this year, im just interested in seeing what everyone else has. After spending a year restoring this one it would be nice to see others. As-of February 6, 4:30 PM: Saturday's forecast calls for cloudy skies, with 30 degree temperatures and light winds. A lovely afternoon for Scorpion Homecoming 2015. Ice surface conditions however are poor, with slippery exposed ice in most areas. Use extreme caution. Ice cleats or well tractioned footwear are strongly recommended. Overall ice thickness is significant. Remember, parking and walking on the ice are at your own risk. Please be careful!